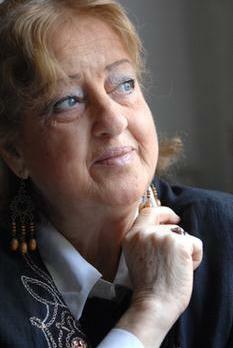 Veteran actress Gemma Portelli, 75, passed away last night. Portelli was well known for the variety of roles she played on stage and television, although she is best remembered for her role as Ġoma in the series F' Bahar Wiehed..
She continued to perform to the last and is currently shown in a series of adverts. Mrs Portelli leaves to mourn her loss her son Martin and his wife Lottie, her daughter Cora and her partner Joe. The funeral leaves Mater Dei Hospital tomorrow at 2.15 p.m. for St Joseph parish church, Msida, where Mass praesente cadavere will be said at 2.30 p.m., followed by interment in the family chapel at the Santa Maria Addolorata Cemetery.